Despite the fact that all of 2008 trends were generally positive, it was not possible to completely liquidate the nuclear issue by the end of the Bush presidency. “The devil is in the details,” and the process could not be worked out in time, at the very least due to technical reasons. Although, perhaps more importantly, by the end of 2008 both the DPRK and the USA reached the threshold when it was necessary to take irreversible actions that would negatively affect the domestic political character of their regimes, answering to very difficult questions. For Pyongyang’s leadership, the question was: “Are you really ready to fully and incontrovertibly abandon nuclear weapons with the risk of not receiving anything in return?” The issue is not so much in the problem of guarantees, but that for a long time the official propaganda of the DPRK has beat on one point: “We were hungry, we economized everything, but now we have nuclear weapons, world respects us, and is afraid.” To renounce nuclear weapons within the framework of such a paradigm means to commit an act of treason and to go with the foreign enemies. According to Pyongyang, it is impossible to do this, at least for the sake of maintaining domestic political stability. Usually, such a dead end has ways out: to either take a timeout by tightening, in one way or another, the negotiation process and getting stuck in the details; or to mill around in one place in the expectation that some force majeure circumstances will force the opponent to make concessions; or to artificially create such a force majeure circumstance, moving a step backwards to provide room for maneuver. All of these strategies were equally used by both ‘non-negotiating parties’. Subsequently, by the end of 2008, the line of the new president of the ROK, Lee Myung Bak, derailing all of the achievements in Inter-Korean dialogue established by his predecessors for 10 years, was quite understansable. This, of course, reflected the position of the ROK in the six-party talks. If earlier, the ROK occupied a position close to the PRC and the RF and aimed for a constructive solution to the problem, now South Korea became much closer to the position of the USA and its ally Japan. This greatly changed the power landscape. Whereas earlier, the ‘pragmatists’ bloc’ (RF, PRC, ROK) had the advantage over both the DPRK and the USA-Japan bloc, now even in the case of solidarity between Russia, China, and North Korea, parity was approaching, threatening a dead end to negotiations. This change once again brought to life the ideas of a coalition of pressure, which Seoul was more active in than Washington. Pyongyang had put some hope on a change in the USA policy under President Obama, but this did not happen. Although his specialists in the Far East were more pragmatic, pragmatism led them to understand two important points. On one side, it is clear to them that the complex of threats related to the DPRK nuclear program was significantly smaller than it seems: on the other side, that in the current international situation, the United States has nothing to offer North Korea in exchange for denuclearization. No agreement on non-aggression or the supply of energy will make the North to feel secure enough that it will really ‘surrender’ nuclear weapons, leaving nothing for a rainy day as an additional object for bargaining. This means that the problem does not have an effective solution, thus there is no need to consider the problem as a first priority. Now that it is impossible to get a clear benefit, let all remain as it is. Moreover, the intelligence service of the south was piling Washington with information that “the regime of the DPRK is on the verge of collapse” and, therefore, there is a chance that due to sanctions it will collapse. As a result, Obama said he was ready to extend a hand, if the other party “unclenched its fist”, but in the DPRK they decided to check whether the claws were retracted by Washington itself. The verification was carried out in a tough and in many ways a provocative manner. Following all the rules, North Korea stated that it was going to once again launch an artificial satellite. The calculation was simple. If the United States and its allies are set for constructive dialogue, they will perceive the launch as a satellite launch, without regarding the launching of a rocket carrier, theoretically capable of carrying military cargo violating the relevant UN resolution on ballistic missile tests. Moreover, when testing a missile for military purposes it is much more important to find out not how it takes off, but how it is aimed at a target and enters the atmosphere, which is not tested for at all when launching a satellite. So, the DPRK deliberately proceeded to measures that could be interpreted in two ways to see what treatment will be chosen by the outside world. And we know all too well what was the reaction to the launch on April 5, 2009: hysteria in the ‘democratic media’, demonstrative deployment of Japanese missile systems to shoot down the missile, if it is in the airspace of the country, a new round of talks about the insane tyrant threatening the whole world, South Korea’s joining of the USA-led Proliferation Security Initiative in the fight against the spread of weapons of mass destruction and attempts to drag through the UN a new round of sanctions. Although the reaction of the UN was milder than the experts expected (the Security Council did not adopt a resolution, but a presidential statement that does not give any sanctions), the noise and foam were whipped sufficiently that the North Koreans came to the conclusion that it was actually constructive talk with them that no one wants, the new American strategy was also aimed at destabilizing the situation in the DPRK and changing the regime one way or another. It was decided that tough treatment demanded tough response, and on April 14, 2009, the DPRK announced its withdrawal from the six-party talks and its intention to develop its nuclear deterrence forces by driving out the IAEA inspectors and starting restoration of the complex at Yongbyon. According to the statement of the Foreign Ministry of the DPRK, the negotiations finally turned “into a platform where the national sovereignty of the DPRK is degraded with our disarmament and subordination is the only goal,” and became nothing more than an instrument of regime change politics. On May 25, 2009, the DPRK conducted the second nuclear tests. The power of an underground nuclear explosion, estimated by the Russian military, was 10 to 20 kt, which indicated a certain progress. Not surprisingly, international reaction, even from Russia and China, was generally tough, and the negotiation process was frozen. The prerequisites for returning to the negotiating table began to dawn in the spring of 2010 with the efforts of the PRC – in principle, all sides agreed with their plan for resuscitation of the six-party talks. In late March, the head of the North Korean delegation was already going to fly to the USA in the framework of the implementation of the first part of the plan, but on March 26, 2010, the loss of the corvette ‘Cheonan’ in which the DPRK was accused (in our opinion – falsely). This allowed Seoul to cross out all the agreements of the times of Kim Dae-jung and No-Moo-hyun, as well as introduce its own unilateral sanctions, the so-called ‘May 24 measures’. In response, the DPRK announced the complete cessation of the dialogue, including the cancellation of the 1991 Non-Aggression and Reconciliation Agreement, after which the Six-Party Talks could only be spoken in the subjunctive mood. On November 30, 2010 against the backdrop of further exacerbation of relations between the North and South, the DPRK announced that it had a uranium program (in addition to the plutonium program discussed from the very beginning). 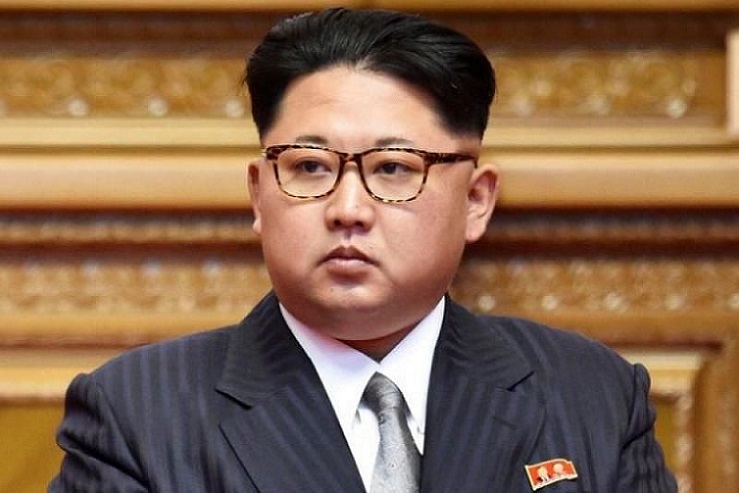 North Korean news media reported that the DPRK has “thousands” of operating centrifuges for enriching uranium, which was shown to some foreign specialists, in particular to Z. Hacker. The announcement to the world of the uranium program gave rise to questions of when it appeared. It is clear that for those opposed to the North it was easy to imagine that since the uranium program exists now, it means that it was from the very beginning, and in 2002 James Kelly did not lie. But for the rest it is no unambiguous proof, since the question of how long it takes to bring the program to the detected level is still open and is in the competence of technical experts, not political scientists. At the moment, the negotiation process is underway, and the DPRK does not consider itself bound by any agreements, although it periodically demonstrates its readiness for dialogue, and subsequent exacerbation (for example, the 2013 crisis with the third nuclear test) gave the impression of a new round. One of the author’s earliest articles on this resource was devoted to this.